Following the attacks on September 11th, the Calvary Episcopal Church Charity Horse Show in Columbia, Missouri donated funds raised from this show to help purchase and train a FEMA Urban Search & Rescue dog. With that donation, a Dutch Shepherd honorably named “Calvary” completed his training, certified through the Federal Emergency Management Agency, and was deployed numerous times with Missouri Task Force One to disasters including Hurricane Katrina. 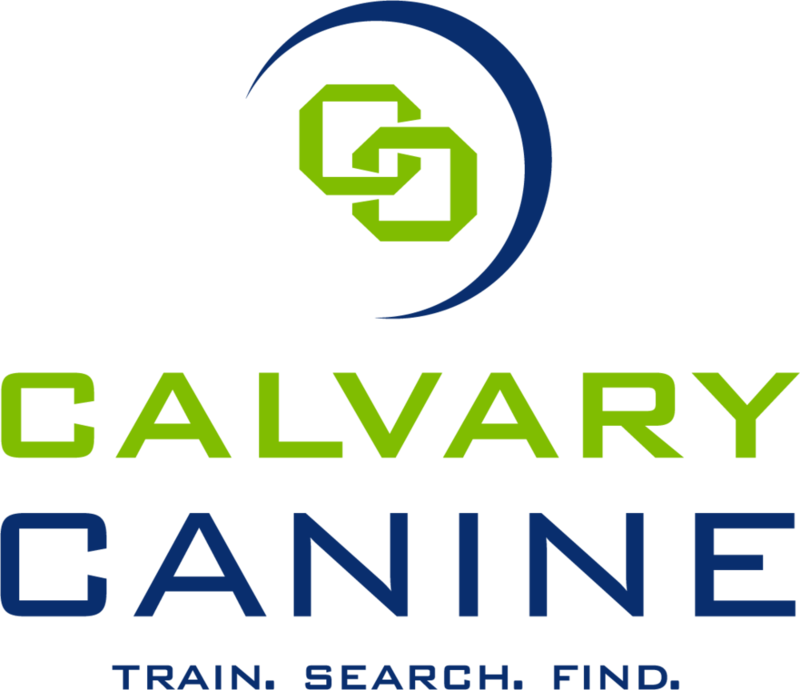 Inspired by the church's generosity, Calvary Canine was formed in 2007 to continue uniting community contributions with search dog handlers and organizations to support highly trained and certified search dogs that serve communities in time of need. Increased access to quality training opportunities by hosting events and partnering with other organizations who offer quality training experiences. Logistical support in the form of equipment and supplies to organizations that provide training opportunities to search dog handlers. Scholarships to award K9 handlers the opportunity to attend training events across the country. Investigate techniques and technologies that can improve the health and capability of K9 search teams. Coordination of novel training spaces to organizations that provide training opportunities to search dog teams. Financial resources for equipment and medical care to help alleviate the financial burden volunteer handlers incur with the training and care of search dogs. Support to events that raise public and governmental agency awareness of the invaluable and unique service that search dogs provide to humanity.